Indemnification sounds complicated, but has a simple definition—to hold harmless. Issues surrounding indemnification arise frequently in the collection industry due to the relationships among companies that service consumer accounts, their creditor clients, forwarding law firms that eventually file suit to recover the obligation, and industry vendors. Creditors, debt buyers, collection agencies, law firms, and vendors are all valuable components of the collection process. All generally work together toward a common goal, but consumer complaints occasionally create a conflict of interest among companies. Most typically, indemnification arises through the contract for services entered between parties wherein a party accepts the contractual obligation to indemnify the other party under certain circumstances. The indemnification provision is important and should be reviewed carefully before entering into any agreement. 3. Notify your general counsel, compliance department, or attorney of any questions and/or decisions regarding indemnification. Companies can save money, time, and business relationships by; (1) carefully reviewing indemnification provisions at the outset of the business relationship, and (2) immediately considering the benefits and risks triggering the indemnification provision upon receipt of a consumer demand or lawsuit. Early indemnification decisions can mitigate damages, assist with strategy, and provide business partners clarification of their respective responsibilities. Contact our firm for advice about how to manage the up front contract negotiations and/or the back end implications when indemnification becomes and issue in a threat or lawsuit. The Echols Firm, LLC is a proud sponser of Good Folks of York County and the recipients they support. Since 1991, The Good Folks of York County consists of York County citizens and businesses which join together annually to raise funds with the ambition of making a significant difference for local nonprofit organization serving residents in need in our community. 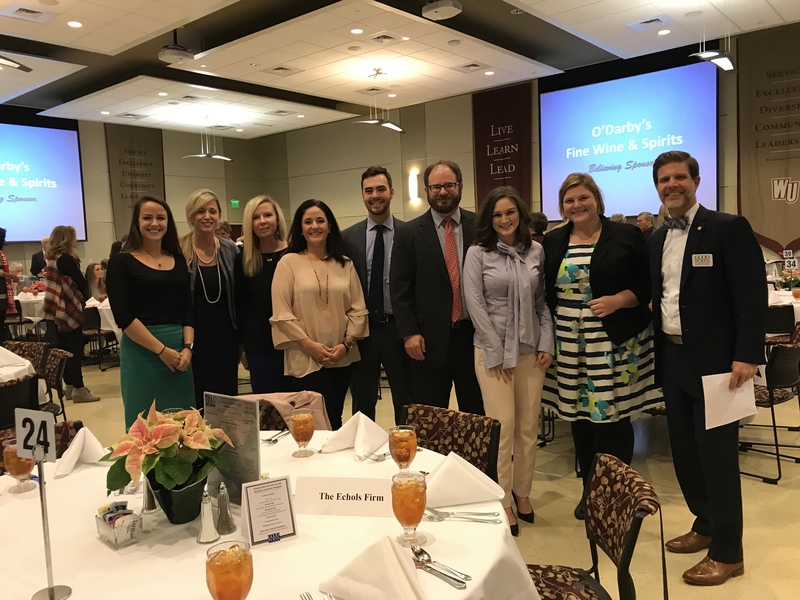 The Echols Firm, LLC (pictured above) was in attendance for the 2017 Good Folks of York County Luncheon which helped raise funds for commendable charities that benefit our community. The recipients of the 2017 donations include The Salvation Army, Safe Passage, and Palmetto Women’s Center. Contributions donated from the luncheon will help support these charitable organizations and provide much needed improvements for the lives of the people in the charities’ care. The Echols Firm, LLC will continue to support causes which strengthen our local community and offer help to those in need. Chad Echols’ experience volunteering with the ACA’s Attorney State Chair Program – a new and improved version of the Map State Compliance Chair Program – helps build his career and members’ businesses. When the phone rings at Chad Echols’ South Carolina-based law firm, it may be a call from a client or a fellow ACA International member seeking his input on a legal question. For more than a decade, Echols served as a Members Attorney Program State Chair for South Carolina and currently volunteers with the new and improved version of this program, now known as the Attorney State Chair Program. Rebranded in 2016, the Attorney State Chair Program provides ACA units and their members with access to an attorney licensed to practice law in their state. These attorneys have volunteered to take calls and make themselves available as legal resources and referral attorneys, as their schedules permit. The Attorney State Chair Program was created based on recommended changes to the MAP State Compliance Chair Program to ensure the chairpersons are an integral part of the unit. Echols said he learns a lot talking to members about their legal questions. “It’s a very enjoyable part of my role in assisting the industry,” he said. Echols also serves as the South Carolina State Legislative Chair and, before forming The Echols Firm, LLC, he worked as an attorney at Hamilton, Martens & Ballou, LLC. He started his career in the collection industry as vice president and general counsel at ACA member company Williams & Fudge, Inc., where he remains outside general counsel. He regularly connects with members in South Carolina and others from around the country with licenses to collect in the state. They often have questions about regulatory issues and litigation compliance. Thanks to his career experience and longtime involvement with ACA, Echols is able to provide insight into these issues that members can use to implement changes at their companies. The program chairs serve a crucial role as a liaison between ACA and the affiliated state and regional unit members, helping to strengthen relationships and partnerships between attorneys and their member clients. Echols said volunteering with the Attorney State Chair Program helps him stay connected with fellow members and the industry. Jenna was born and raised in Tallahassee, Florida. After high school, she attended the University of Florida where she earned her Bachelor of Science degree in Business Administration and a minor in Mass Communications. During her time at the University of Florida, Jenna was a member of the UF student chapter of the American Mock Trial Association, a member of the Phi Alpha Delta Mock Trial Team, and a member of Kappa Delta sorority. After college, Jenna relocated to Columbia, South Carolina and received her J.D. at the University of South Carolina School of Law in 2012. 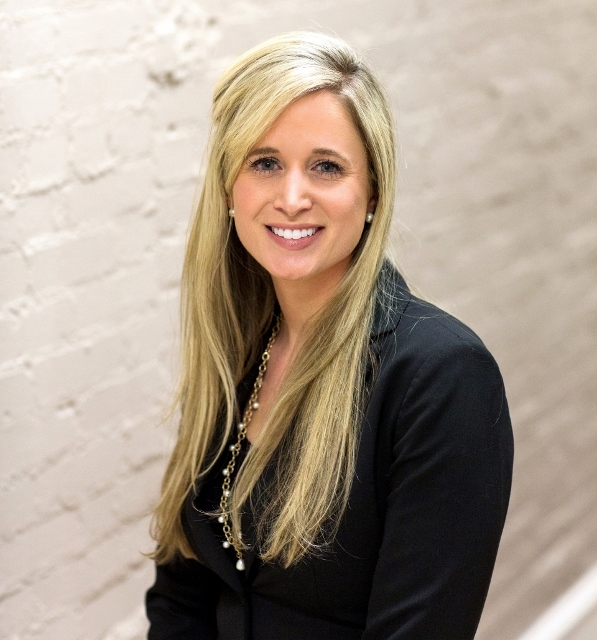 Jenna practiced family law in Charlotte, North Carolina for five years prior to joining The Echols Firm, LLC. Watkins v. Glenn Associates, Inc., No. 15-cv-3302 (Mass. Sup. Ct. June 10, 2016). In this case, the plaintiff sought relief from the defendant’s alleged violations of the Massachusetts Debt Collection Regulations, 940 Code Mass. Regs. § 7.04 and the Massachusetts Consumer Protection Act, G.L. c. 93A, §2. The Code states in part that it is an “unfair and deceptive act or practice for a creditor to…initiat[e] a communication with any debtor via telephone…in excess of two such communications in each seven-day period…” 940 Code Mass. Regs. § 7.04(1)(f). The defendant called the plaintiff’s cell phone on December 17th, twice on December 22nd, and twice on December 23rd. The defendant spoke with the consumer on December 17th, but reached his voicemail on December 22nd and December 23rd. The defendant did not leave any voicemails for the plaintiff. Watkins v. Glenn Associates, Inc., No. 15-cv-3302 (Mass. Sup. Ct. June 10, 2016). The question for the Court in this case was “whether the telephone calls in question constituted ‘initiating a communication’ under the state debt collection regulations.” The Court determined that, based upon the language of the statute and the Attorney General’s guidance, because the defendant was able to leave a message for the debtor, such contact constituted a communication. The Court placed much of its focus on the Attorney General’s Guidance that “unsuccessful attempts by a creditor…may not constitute initiation of communication if the creditor is truly unable…to leave a message for the debtor.” Despite the fact that the defendant did not leave a voicemail for the plaintiff, the Court reasoned that because the defendant had a choice not to leave a voicemail, this action was a communication. Avila v. Riexinger & Associates, LLC, 817 F.3d 72 (2nd Cir. 2016). According to a recent Second Circuit opinion (in line with a past Seventh Circuit opinion), the FDCPA requires debt collectors to disclose to consumers if account balances will increase due to interest or other fees. In Avila v. Riexinger & Associates, LLC, 817 F.3d 72 (2nd Cir. 2016), the Court found collection notices sent to consumers, without expressly stating the balances were subject to increase, violate the FDCPA. In Avila, consumers were sent collection notices with the amount due identified as “Current Balance.” Relying on the FDCPA’s purpose of protecting consumers, the Court held this was a deceptive practice because, “[a] reasonable consumer could read the notice and be misled into believing that she could pay her debt in full by paying the amount listed on the notice. In fact, however, if interest is accruing daily, or if there are undisclosed late fees, a consumer who pays the ‘current balance’ stated on the notice will not know if the debt is paid in full.” Id. at 76. The holding is in accord with the Seventh Circuit’s opinion in Miller v. McCalla, Raymer, Padrick, Cobb, Nichols & Clark, LLC, 214 F.3d 872 (7th Cir. 2000). Although there is not consensus across all Federal Circuits on this issue, we recommend collectors use language similar to the safe-harbor provision outlined in Miller in any collection notice sent for an account where the balance is subject to increase. Contact us if you need additional information on the safe harbor language outlined in Miller and buttressed by Avila. Spokeo, Inc. v. Robins, 136 S.Ct. 1540 (2016). The issue in this case revolves around whether the respondent (Robins) had standing to maintain an action in federal court against the petitioner (Spokeo) for alleged violations of the FCRA (Fair Credit Reporting Act). The procedural history of this case consists of the District Court dismissing Robins’ complaint for lack of standing with a panel of the Ninth Circuit reversing the District Court’s ruling. Ultimately, the Supreme Court determined the Ninth Circuit’s analysis was incomplete as review of the injury-in-fact requirement requires a plaintiff to allege an injury that is both concrete and particularized. The Ninth Circuit did not address whether the injury was concrete. In reaching its conclusion, the Supreme Court discussed Article III of the United States Constitution and indicated Article III standing serves to prevent the judicial process from being used to usurp the powers of the political branches. In order to have standing to sue, the plaintiff must meet three elements: (1) suffered an injury in fact, (2) that is fairly traceable to the challenged conduct of the defendant, and (3) that is likely to be redressed by a favorable judicial decision. The plaintiff has the burden of proof of establishing these elements and, at the pleading stage, must clearly allege facts demonstrating each element. This case hinges on whether Robins suffered an injury in fact, one of the required elements to establish standing. In order to establish an injury in fact, a plaintiff must show he/she suffered an invasion of a legally protected interest that is concrete and particularized, as well as, actual or imminent. An injury is particularized if it affects the plaintiff in a personal and individual way. A concrete injury must actually exist. It is important to note the Court states that even for statutory violations, the plaintiff must have suffered a concrete injury. A plaintiff cannot allege a bare procedural violation and meet the Article III standing requirements. The Court provides the example of an incorrect zip code and indicates that it is difficult to imagine how the dissemination of the incorrect zip code, without more, could cause any concrete harm. This case has the ability to heavily impact the debt collection industry. Consumer attorneys are already pleading their cases differently to account for the Court’s decision. Defense counsel are trying to see how this opinion can apply in other circumstances such as FDCPA and TCPA cases. We will continue to update clients as to how courts are interpreting Spokeo. Of note, many cases brought against the industry are purely technical. Despite being technical, this opinion will not provide clients the ability to dismiss many of the types of cases you regularly encounter. Spokeo is helpful, but the case is not a panacea. Chad Echols is proud to support the credit and collection industry as ACA International’s selection for Attorney State Chair for the state of South Carolina. This role provides ACA Association Units and ACA members with a legal resource and referral attorney licensed to practice in South Carolina. The 2016-2017 term marks Chad’s fifth consecutive year serving as ACA International’s South Carolina Attorney State Chair. “COHEAO is pleased to announce its upcoming webinar, “Bankruptcy Issues in Student Lending and Higher Education Receivables” with Chad Echols of The Echols Firm, LLC. Set for Thursday, October 13 at 2 PM Eastern Time, this webinar will review the latest in the always evolving topic of bankruptcy in higher education collections. Don’t wait, sign up today! Should you like to attend the webinar, please register here.